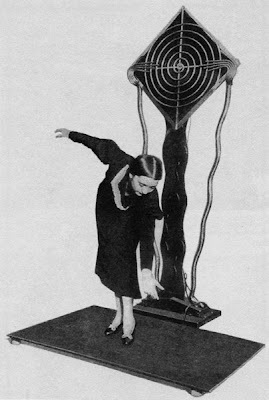 The Thermin was invened by Russian Leon Thermin as a proximity detector in the mid 1920's. That was not its fate however. Lenin after being given a demo of the Thermin immediately started taking lessons and commissioned 600 to be sent all over Russia and later the world. 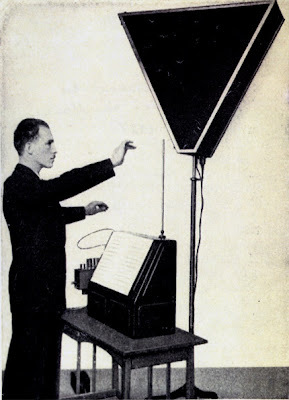 This was the birth of the first electronic instrument. 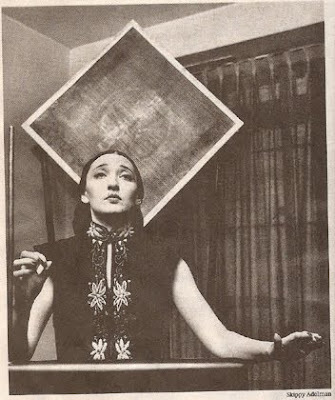 Clara Rockmore was the first virtuoso of the thermin in the mid 1920's. She was previously a violinist but a muscular disorder stopped that career. Fortunately she was friends with Leon who gave her a second career with the thermin. 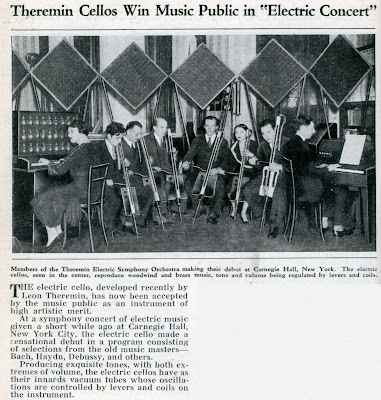 After Leon invited the Thermin other instruments based on its design followed like the electric chello in the pic below. If I had a time machine this concert at Carnegia Hall would be on my list of stops. 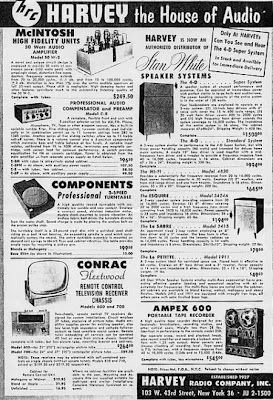 In America Leon Thermin influenced instrument designers like Raymond Scott and Robert Moog just to name two. 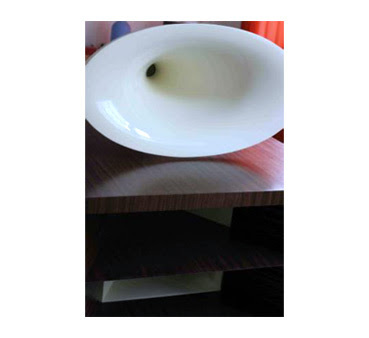 Haigner Horns are modern european two way systems. They are beautiful. Check out the pics and specs. 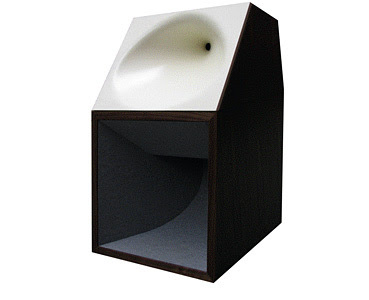 The bass system is based on two 18 inch drivers with very lightweight cones, coupled by a molded-concrete core part. 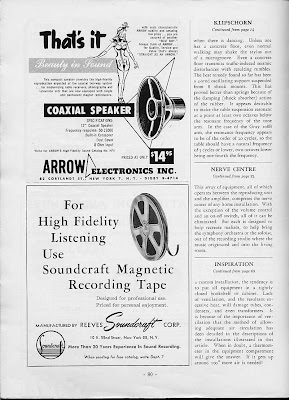 The high/midrange section uses a coaxial compression driver and a constant directivity (NON tractrix) horn from 350 Hz up to 21 kHz. 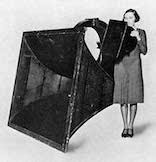 We shall place a link to more information about the design and development of this outstanding loudspeaker as soon as possible. 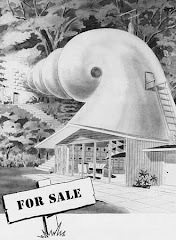 A scaled down version of the Alphahorn the Betahorn. 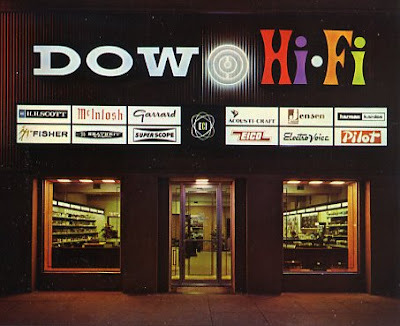 Tannoy is one of those brands I've always wanted to hear but never have. 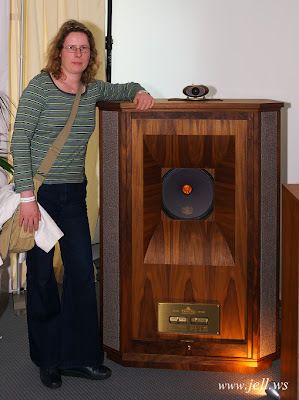 The next time I am traveling to a big city a Tannoy system is on my dream to hear list. 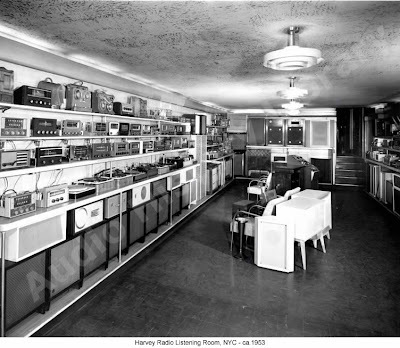 Tannoy has a very long history starting in 1926. I'll skip to more recent history. 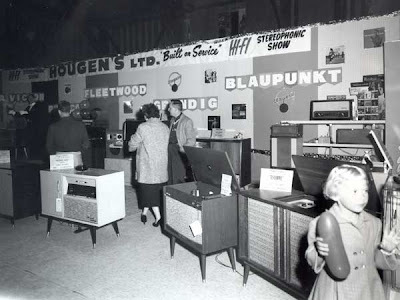 The Tannoy company was sold around 1974 and the new owners were moving offices when originals drawings of Mr Fountain came to light. 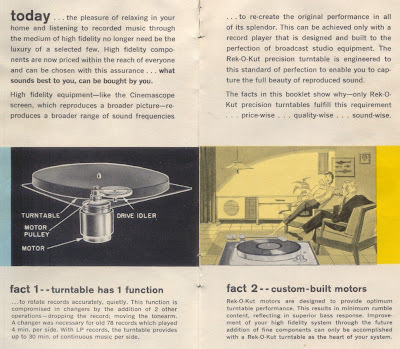 These drawings were new designs which showed the opposite in current speaker trends which were skinny inefficient boring boxes. 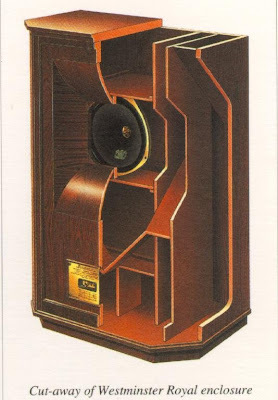 Tannoy engineers and owners honored the founder of the company by finishing these designs and creating the GRF Prestige line. Bravo Tannoy! 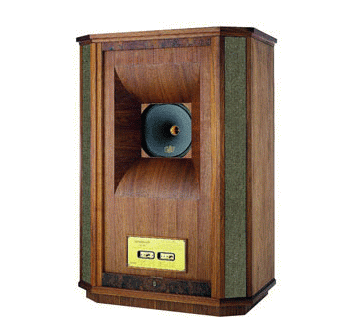 One of these designs GRF left for Tannoy to discover was the Westminster Royal. 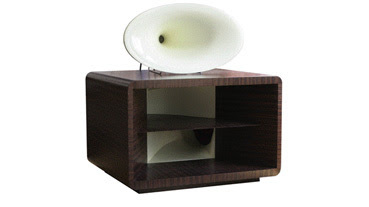 It features a dual concentric driver which Tannoy is famous for in a large back loaded folded horn design. I look forward to hearing these feats of Scottish engineering. 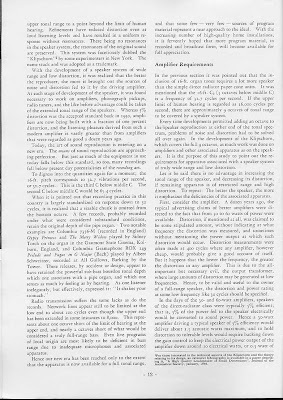 This is an article by PWK in the first issue of High-Fidelity magazine. 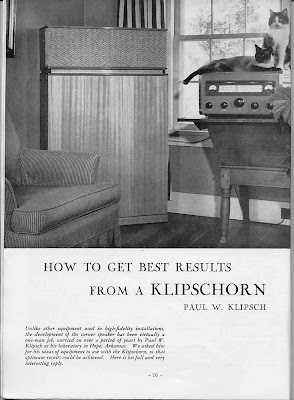 The article is How To Get Best Results From A Klipschorn. This is a great early article. 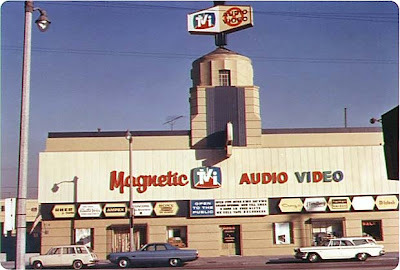 Check out these pics of vintage audio stores. 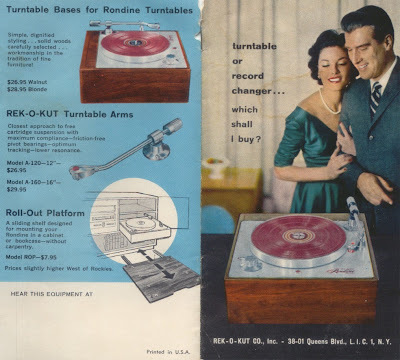 I wish I could get in my wayback machine with a pocket full of cash and stock the spaceage bachelor pad with killer audio gear. Ok now this is just hot. 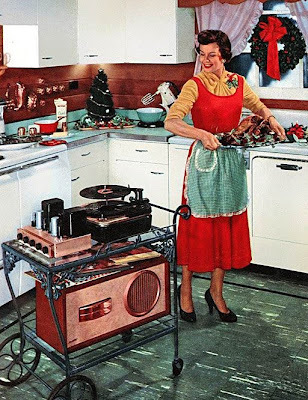 Forget any top model of the day I'll take Mrs 1950's wife with a killer kitchen system with a turkey. I bet she is listening to some 1950's exotica perhaps Drums of Bora Bora. 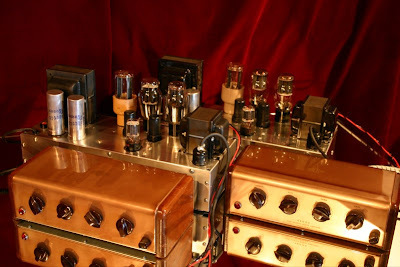 Do you want some really cool triode amplifiers, preamplifiers, or large horns hand crafted? I think Experience Music might be the company to do it for you. It seems they do incredible custom work. 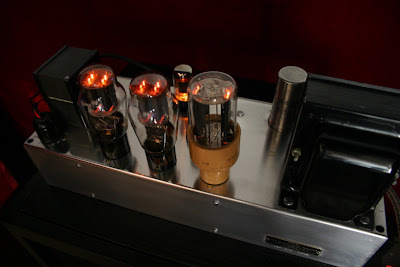 http://www.jeffreywjackson.com/ Here are some triode pron pics. 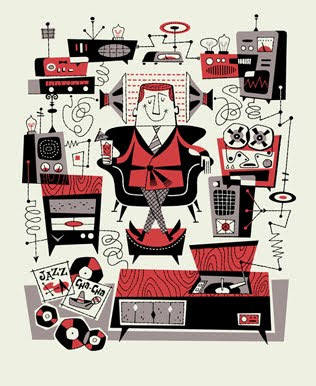 I hope to take a trip to Memphis to hear some of this great gear. 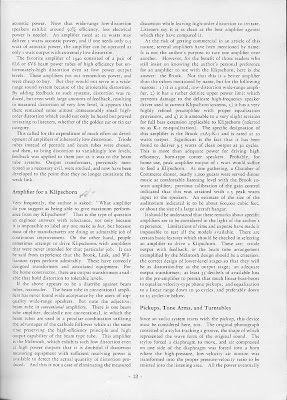 I think I've finally found the Brook 12A modification specifically for Klipschorns. 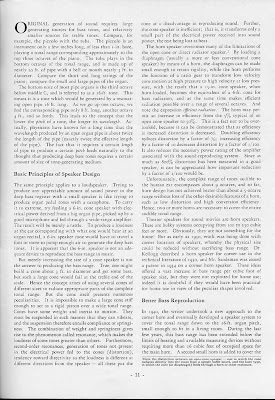 Brook and PWK worked on this in the early days of Klipsch. 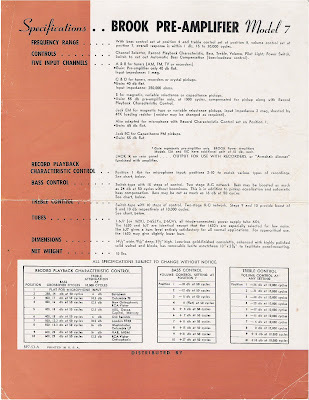 This document comes straight from the Paul W Klipsch archivist Mr.Hunter. At first I thought I had the wrong document because it lists the 6B4G instead of the 2A3 but they are close enough it turns out. 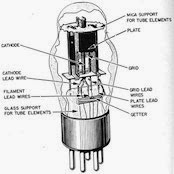 The 2A3 and 6B4G are used interchangeably in the 10C and 12A schematics. 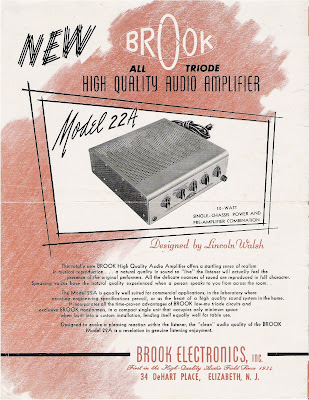 The Brook 12A 2A3 PP amp was reportedly one of PWK's favorite amplifiers. 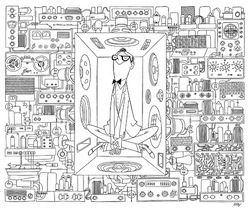 He talks about it in his interview with vacuum tube valley at the age of 94. The last time I was in Hope, AR I got a good pic of PWK's actual Brook 12A23KI and preamp. It is still in his office. Here is the pic. 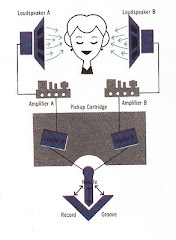 Here is a schematic I've found on the electroweb. 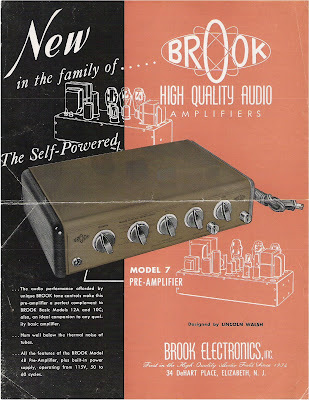 Here are some great Brook preamp and 12A pics and a stereo pair. 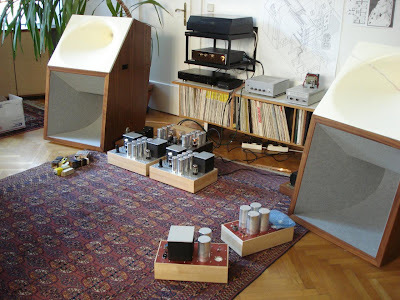 My ears crave this setup. 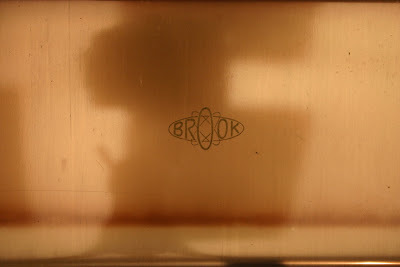 An interesting post on Brook click here. 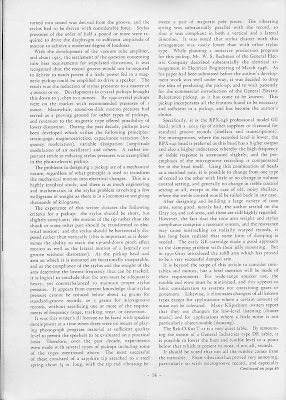 A TubeCad article on the Brook by John Broskie click here. 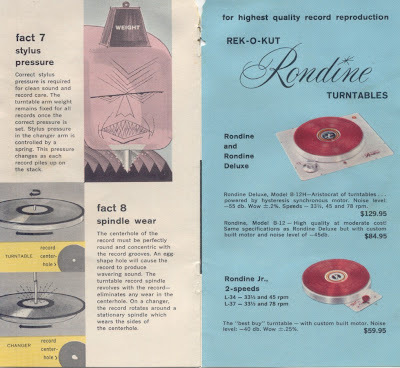 Rek-O-Kut Rondine turntable or record changer ? 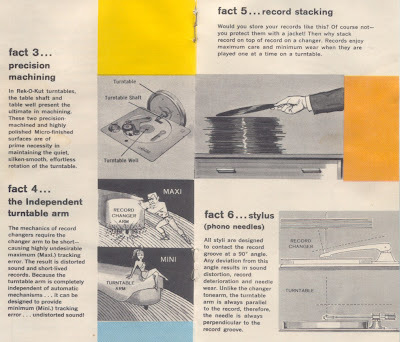 Rek-O-Kut explains why you don't want a record changer to play your valuable vinyl. Great marketing and it is true. I found a Rondine Jr at a flea market but it was in such bad shape not even I would buy it for $5. 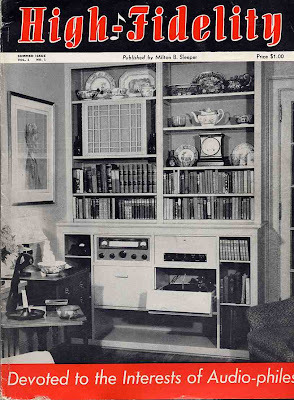 Brook was among the first consumer Hi-Fi audio companies. Born out of the glory days of the triodes. 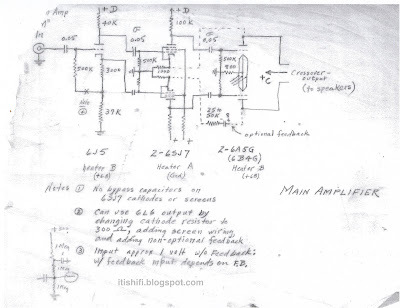 Here is a very detailed 22A schematic. 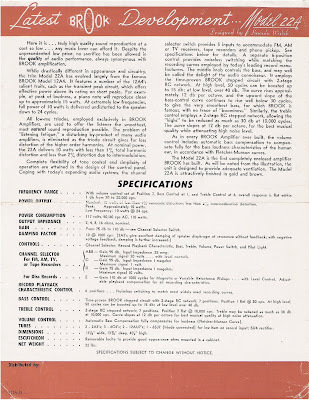 Documentation on the Brook models is rare. I have scavenged for what I have posted here and some I haven't but what isn't posted is mostly schematics. 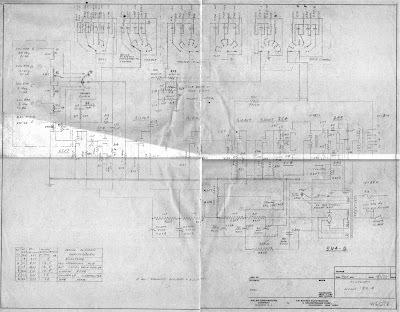 That is except the next post which will have an ultra rare PWK mod of the Brook 12A schematic specifically for the Klipschorns.